Following a 2017 acquisition of parent company NetPlay TV, Super Casino is now part of the Betsson Group of online gambling brands. 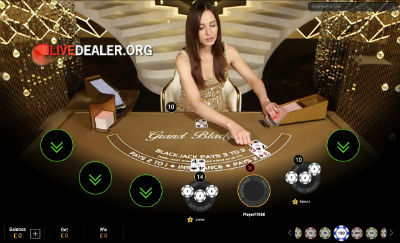 NetPlay operate 2 brands, Super Casino and sister site Jackpot247 and you can play their proprietary live roulette games via either site on the internet, as well as on (for UK residents) television’s Channel 5 or SKY. Super Casino is licensed and regulated by the UK Gambling Commission. 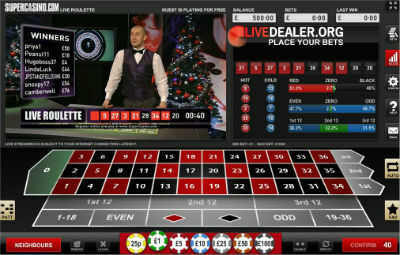 In addition to NetPlay’s proprietary TV live roulette, they offer Playtech’s live dealer games. Playable online or on TV (Channel 5 or SKY in the UK) and hosted by Supercasino’s presenters. Play mobile…their live roulette App can be found in the App store for iPhone and iPad users, or the Google Play Store for Android device users. 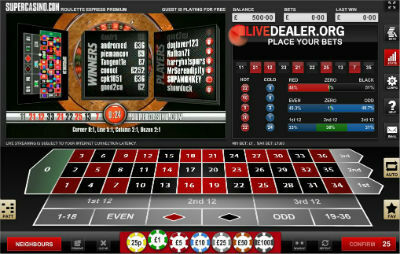 Presently only UK residents can place real money bets using the (Android or Apple) live roulette Apps. European Roulette rules and payouts apply. This is an auto wheel. The ball is launched by an air-jet and there is no presenter. Available for play online 24/7. European roulette rules and payouts still apply. Another auto wheel game although this one is available for play on web or TV, and limits are slightly higher than Roulette Express. Super Casino Live Roulette is playable on iOS and Android tablets and mobile devices. 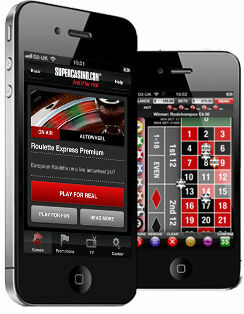 Their Live Roulette App was the first real money casino game accepted into Apple AppStore (UK). It can also be found in the Google Play Store for Android device users. While bets and payouts follow the game of European Roulette, this is very different from a traditional casino roulette experience. You may love it, you may hate it. 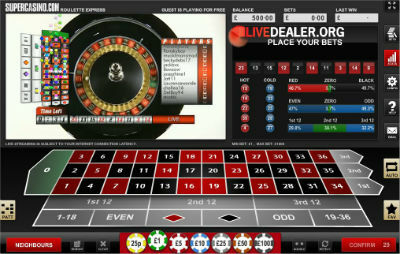 Standard European or French Roulette bets and payouts apply as appropriate. Big blackjack table choice on the Playtech floor is substantial. Choose from the Grand and Royale tables, or Lounge tables or the VIP Soirée Blackjack table. Pictured above is Grand Blackjack. Standard Banker, Player, Tie bets, as well as optional Pairs, Big, Small side bets. 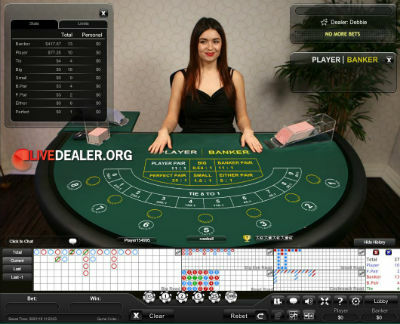 There are a few live poker table options to choose from at SuperCasino. House rules are identical on these tables. A different game altogether. You are trying to beat the dealer’s 3 card poker hand. Here you are betting on whether the next drawn card is higher or lower than the previous (or base card). Payouts are automatically calculated based on what the base card is. 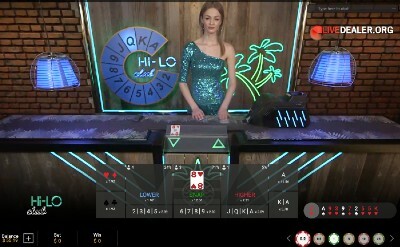 Nice looking studio, nice looking game interface, nice video, nice table availability, nice dealers. These live games are solid. 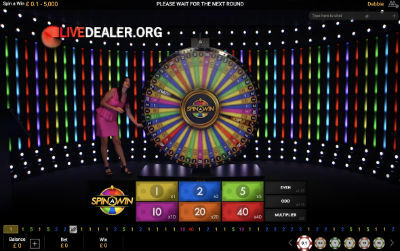 SuperCasino’s proprietary Live Roulette (with presenter) is available for play during the restricted broadcast schedule on subscription and free to air channels. This applies to all players whether playing over the internet (international or UK) or via TV.